A "tumor" is a lump. Most, but not all, are cancerous. A large number of different types of tumor, with a bewildering array of names, but often of confusingly similar appearance, can occur in association with the tissues around the eye. Tumors that occur on the haired eyelids are similar to those arising elsewhere in the skin. They include cysts, overgrowths (hyperplasias), benign (non-spreading) and occasionally malignant (spreading) cancers. Tumors may originate from the sebaceous (Meibomian) glands, sweat glands (glands of Moll) and from cells such as those which produce melanin pigment, mast cells and the covering epithelium. Many Meibomian tumors rupture to cause nodules of inflammation called chalazions. Tumors of the adjacent orbital tissues (peri-ocular tumors) include those originating in the tear (lachrymal) glands and connective tissue, including that of the brain envelope (meninges). 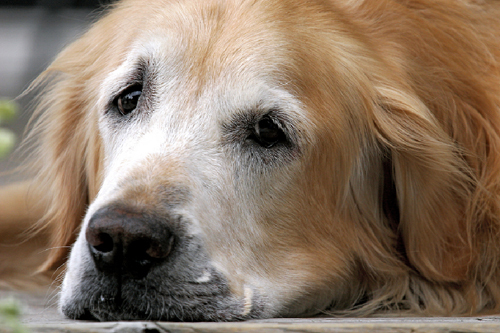 Tumors of the Meibomian and sweat glands (cysts, hyperplasias and adenomas) are common in dogs. Chalazion is also common. Squamous cell carcinoma of the haired skin is only common in white cats, often associated with similar tumors on the nose and ears, and may be related to exposure to sunlight. 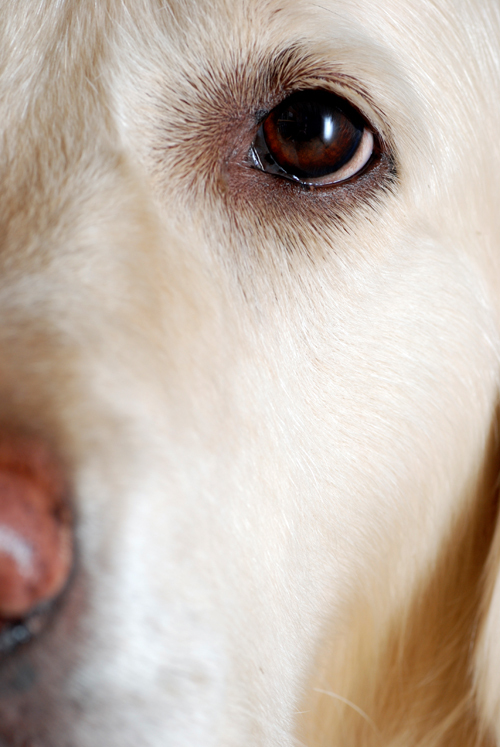 Squamous cell carcinoma of the third eyelid is rare in cats and very rare in dogs. Vascular tumors are mainly in dogs. Melanomas of the conjunctiva are rare. Adenocarcinomas of the gland of the third eyelid are uncommon nodular swellings in old dogs (mean age 11 years), and are rare in cats. Nodular fasciitis is the most prevalent primary disease of the sclera of dogs and occasionally occurs in cats. Lachrymal gland tumors are the most common type of tumor arising from the area around the eye. Conjunctival tumors often cause redness and weeping from the eye before the lump is visible. Any inflammation of the eye is irritating and often painful. There may be secondary infection and pus formation. Some tumors block tear formation so the eye becomes dry ('keratoconjunctivitis sicca') and irritable. This is particularly noticeable with lachrymal gland tumors, which also cause swellings around and below the eye. After surgery, an "Elizabethan collar" may be provided to prevent your pet rubbing his or her eye and interfering with the operation site. The surgical site needs to be kept clean and dry. 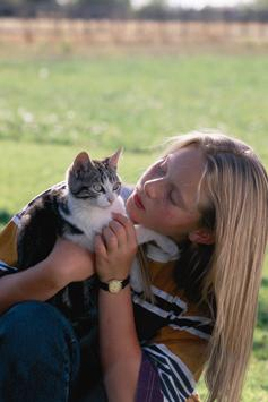 Report any loss of stitches or significant swelling or bleeding to your veterinarian. Lachrymal gland tumors are usually malignant (adenocarcinomas). They are locally invasive and often recur because of the surgical difficulty of removing them completely. Sarcomas from this site rarely metastasize but their infiltrative growth habit in this difficult site gives a poor prognosis.